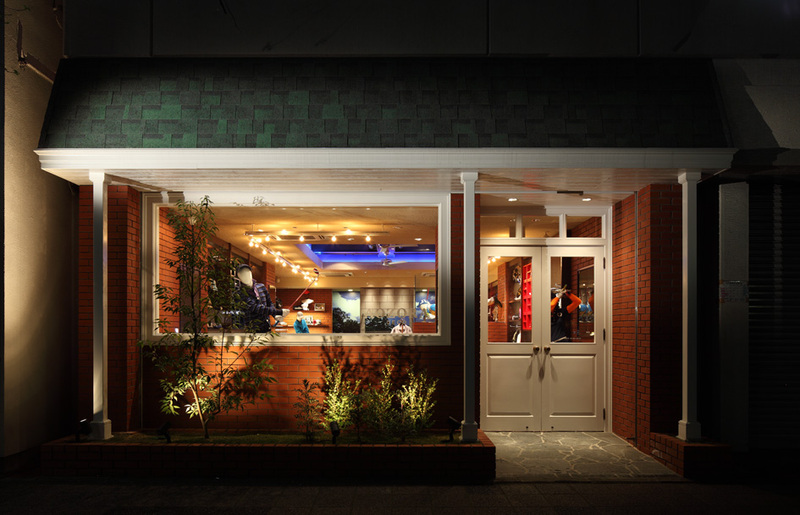 Although the owner of this store operates a number of other apparel shops, this is his first for golf wear. 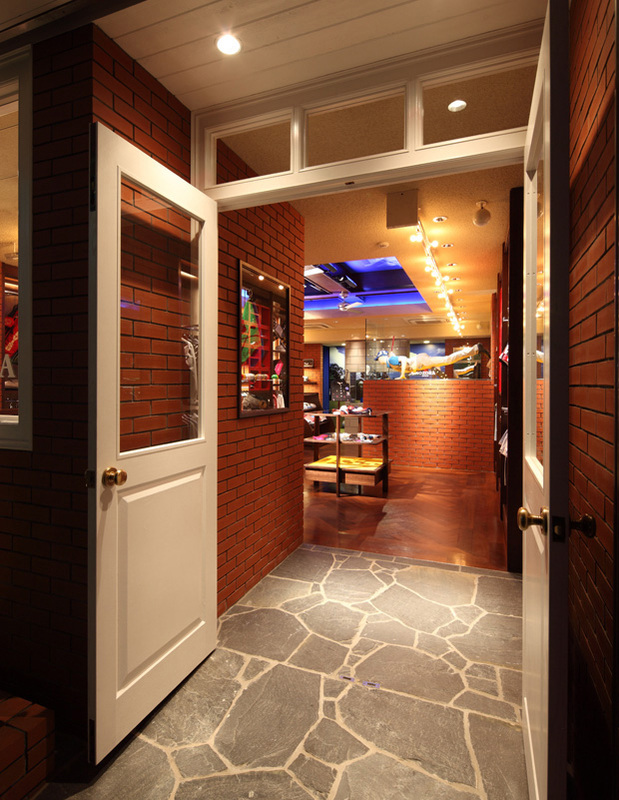 The shop displays the pleasure of the sport through various golf motifs: a herringbone pattern in the floor recalls turf bending in a breeze, the yellow shelving recalls a course's sand traps, and the round light bulbs hanging from the ductwork recall a golf ball in midflight. 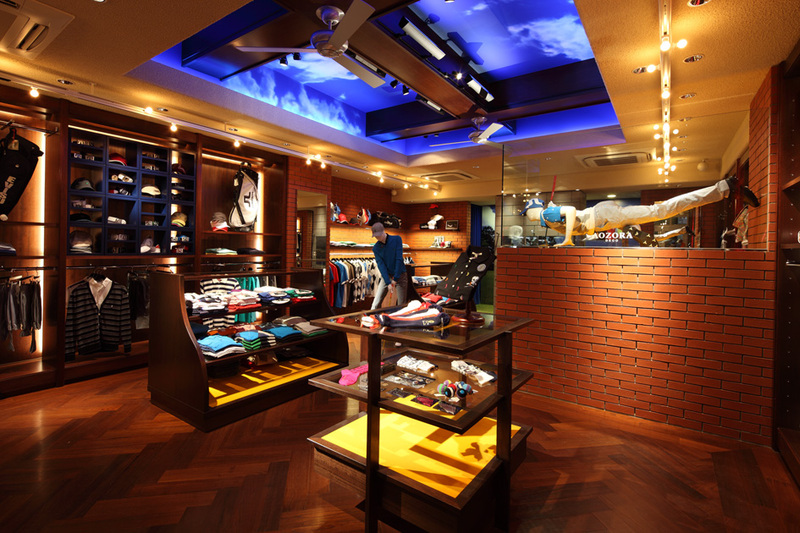 Not to mention the "blue sky" ("aozora", in Japanese) painted on the ceiling, from which the store takes its name. 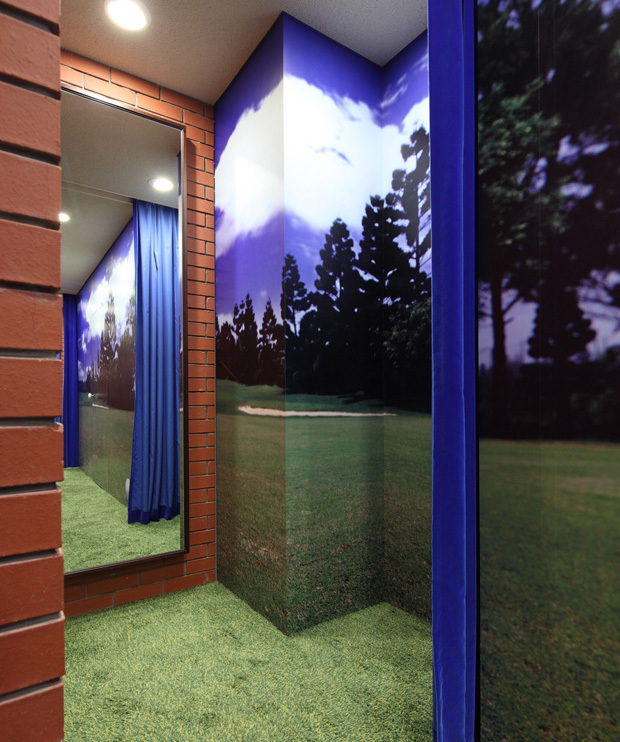 Since fitting rooms are where purchase decisions are made, here, Jamo applied an oversized print a golf course to the walls so customers can see how fashions will translate to the actual green. Humorous details are incorporated throughout the store, including custom made mannequins posed in the swing styles of professional golf players. 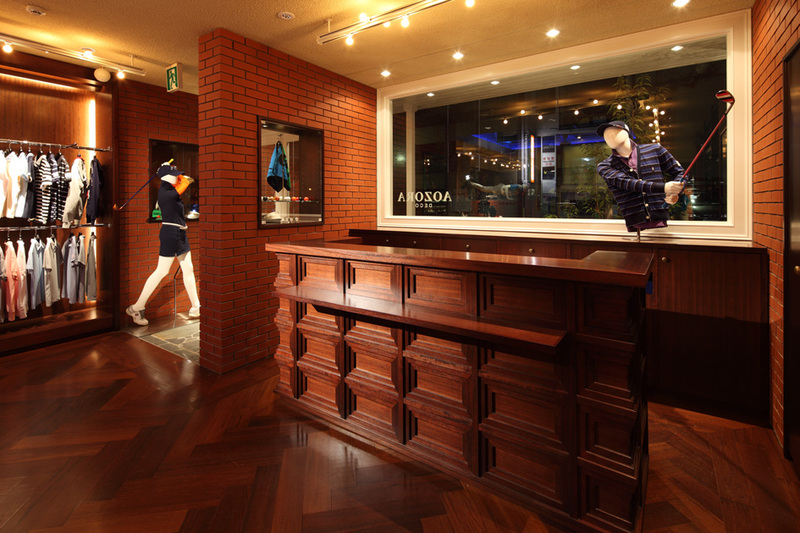 Also different from other pro shops, AOZORA emphasizes the fashion side of golf by making full use of various visual merchandising tools.